Bramelle Partners are named as finalists for the 2018 SMSF and Accounting Awards. 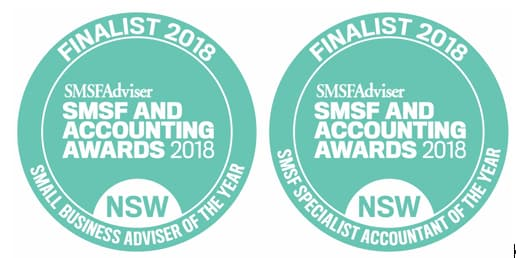 Bramelle Partners are finalists in two categories, Small Business Adviser of the year and SMSF Specialist Accountant of the year. We are extremely proud to be recognised in these two categories as these are key focus areas in our business. We are very grateful and humbled for the recognition and acknowledgement by our clients and peers as we strive to make a positive change in our clients lives. We would like to thank our clients, employees, suppliers and everyone else who has contributed along the way. I would like to make a special mention and thanks to my wife and family who without their support I would have never been unable to expand and grow this business from beyond the confines of my bedroom office. We still see ourselves in the very early stages of our business and acknowledge there is a lot more hard work to be done. We are excited about what the future may hold for our clients as we continue to strive to make positive contributions for our clients and the community. The SMSF and Accounting Awards is the first nationwide industry awards program for state-based performance — recognising excellence in the SMSF advice and accounting professions. These awards acknowledge individuals and businesses who are leading the way in SMSF advice and accounting by championing professionalism, quality advice and innovation.